The Second Council of Nicaea (787) decreed that religious images were to set up in churches and venerated. It thereby established the cult of icons as a central element in the piety of the Orthodox churches, as it has remained ever since. In the West its decrees received a new emphasis in the Counter-Reformation, in the defence of the role of art in religion. 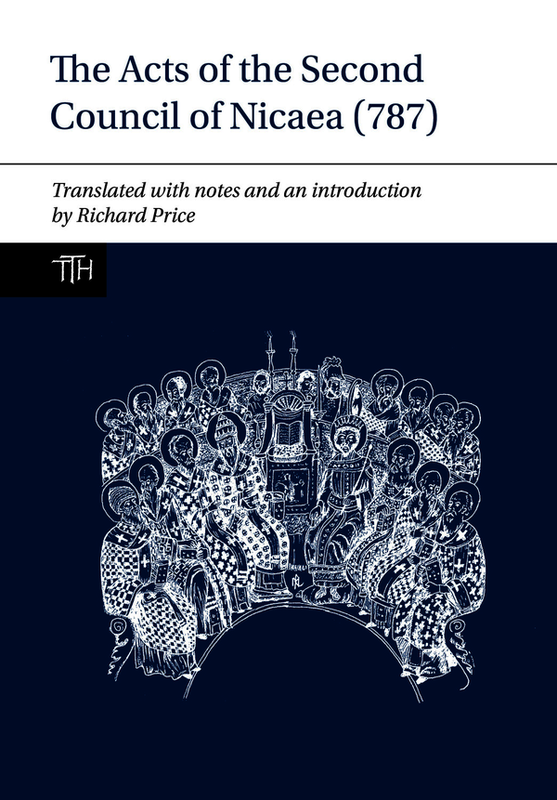 It is a text of prime importance for the iconoclast controversy of eighth-century Byzantium, one of the most explored and contested topics in Byzantine history. But it has also a more general significance – in the history of culture and the history of art. This edition offers the first translation that is based on the new critical edition of this text in the Acta Conciliorum Oecumenicorum series, and the first full commentary of this work that has ever been written. It will be of interest to a wide range of readers from a variety of disciplines. Richard Price is Professor of the History of Christianity, Heythrop College, University of London. His many previous publications include The Acts of the Council of Chalcedon, The Acts of the Lateran Synod of 649 and The Acts of the Council of Constantinople of 553.